With LipSense being our biggest seller, with it comes lots of questions! Today, I thought I would share the most frequently asked questions and the answers. Please note, this is not my list of questions and answers but from a document provided. What are the three stages to LipSense? Long-lasting Lip Colour stays on from 4 to 12 hours. Lip Gloss actually repairs and moisturises lips. Ooops! Remover is for corrections and removal after at least 6hrs. If you try to remove LipSense within the first hour it is very difficult and could cause chapped lips. When trying a new LipSense® colour, plan on wearing it for at least three-four hours even if you don't like the colour. Why should I purchase the whole set? As a person eats and drinks, the gloss comes off and needs to be reapplied a few times during the day to keep the colour renewed and increase its staying power. If you are using the product properly you will see that the colour will last all day long. The Ooops! Remover is useful, just in case you make any mistakes. Do my customers have to purchase an Ooops! Remover every time they purchase a LipSense shade? No. However, it is essential and a recommendation of SeneGence that the Distributor sells an Ooops! to each first-time buyer. A LipSense customer must have a colour remover in the event it is necessary to remove the colour from lips. It can also be helpful in attempting to remove spilled lip colour on clothing. LipSense is actually a very economical product as it lasts longer than their counterparts in the marketplace since they are so highly concentrated. They last 4 - 6 months depending on lip size and once open will last 3 years. The Lipsense bottle holds 7.5mls, double the normal size you get in the UK and you can get out every last drop by the use of a small ball in the tube. When is it popular to wear? If you wear it every day at its maximum staying power which is 3 coats, one colour lasts 4-6 months; however most customers purchase more than one colour which extends the longevity of the product. Glosses last 3-4 weeks but again most customers purchase different glosses. Why do I notice a tingling sensation when I put on the LipSense lip colour? You have dry lips! Those without dry lips do not notice the tingling sensation. Dry lips are caused by repeated use of wax and paraffin based lipsticks, which by their very nature can cause dry lip tissue. You can eliminate this by conditioning the lips for a few days and not using any wax based products. Once you use the LipSense and the LipSense moisture gloss on a regular basis the dry lips will be gone forever. What should I expect at first use? The reason LipSense ever comes off is because your lips exfoliate. Usually every 8 - 10 hours or so. Because LipSense only adheres to your top layer of skin it comes off when your lips exfoliate and does not damage the underlying layers. The Gloss has Shea butter that penetrates several layers down and makes your lips healthier. The more moisturized your lips are the longer it will take your lips to exfoliate. Your LipSense® will last longer if you keep your lips moist. Definitely. This is one of the benefits of the three-layer application. You can use any of the colours to come up with various new shades to best suit you. Some colours lend themselves to applying over others, mostly used for this are Pink and Gold Champagne. How long will LipSense last? The length of time the colour will last on anyone varies depending on several factors, one of which is body chemistry. Most women will find the colour will last all day, when reapplying the gloss throughout the day. What happens if I should spill the lip colour on my clothes? The colour is easily removed by dry-cleaning. Does any lip gloss work well over LipSense? No! I would not recommend using any other products over LipSense besides SeneGence products if you want staying power. The lip colours appear to be slightly different shades from time-to-time. Why? Just like in wall paper, tile and fabric, it is not unusual to have some variation in colour from one product run to another because the colour pigments we use are from natural sources. Our formulators try earnestly to match each run to the prior for consistency but there can be minute variations. Is the LipSense lip colour FDA approved? The FDA does not approve any products. The FDA does however, approve the ingredients in various products, and the ingredients in LipSense are FDA approved. What preservative is present in LipSense? There is no preservative in LipSense. It is self-preserved. The liquid delivery system naturally kills germs and bacteria. Does the product contain lead? It does not. Rest assure LipSense categorically DOES NOT AND NEVER HAS. 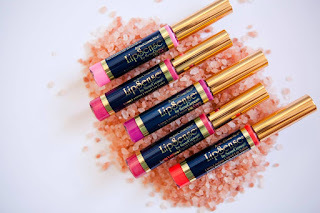 Does SeneGence have any LipSense or Lip Gloss that are both free of wheat and gluten? Yes, our Lip colour and gloss do NOT contain wheat or gluten. Do we have any formaldehyde in LipSense? Why does my LipSense not stay on and peel off? The colour technology works a little differently on each user due to different pH factors. Also, the long-lasting colour technology can be impacted by medications a consumer may be taking. You may find some shades work better on your lips than others. Make sure you use only three layers of colour. If the colour is too thick it may peel off. Is our lip colour Kosher? The present certificate for Kosher LipSense are just past their effective date, however, nearly all of our stock of lip colours and all of our glosses were manufactured while the kosher certification was in effect. We are not pursuing another Kosher product certification due to the amount of money involved per colour (a lot for each). Is there an SPF for the glosses? Any gloss that is shiny may have mica: Pearlized, Diamonded, or Glittered. Why does our lip gloss have paraffin in it? The petrolatum/paraffin is to create a barrier to prevent moisture (water) from leaving the lips. How can the Shea Butter penetrate the wax to heal our lips? Shea Butter has a lower molecular weight (that means the molecule is smaller) than paraffin so it does not have to penetrate paraffin as it is there on the skin ahead of the wax. I did warn you it was a long Q+A! If you have any more questions, please reach out, I would love to help you!